Offer more than an order buttonNot every customer likes to do an online purchase, often older customers, which mostly do not trust the internet, like to do there purchase by phone, fax or mail. Show a video of your company on your home pageTrust is a very big aspect, which turns a visitor into a shopper. Showing your company, your team and how you work, helps to get a higher trust. Creating a nice video is not expensive and takes only some hours. Localize your Magento shop to specific countriesWhen you sale products international, make sure that your customers understand, that you offer an international shipping. For this you can use an identification by IP and redirect them to a storeview in their language. Category structuresThe number of categories should correspond with your inventory. We only recommend to create a category, when you have a minimum of 20 products in it. Also you should try to have as less as possible sub categories. Too much categories can confuse the visitor. Sort category structure by popularityCategories with a higher popularity should be on top! You can use google analytics to find best clicked categories. Create categories names based on what people are searching forTo find the best category names, you can use names which your customers are searching for. A good alternative could be to do a research on ebay or amazon. Keep in mind, that these platforms spend millions per year for just getting a perfect sorting and naming on their platforms. Use a Compelling Business Tag lineCreate a short text under your logo. Please note, that this business tag line gets the same attention as your logo. This line could be a summarize of the experience you are offering. Easy Returns, Free Shipping, Price Guarantee, Risk Free Shopping or the count of Facebook likes. Test your search for accuracyOften users search for the same products in singular or plural. The search result should be the same! There you can fill in the search tag and place it to the product. Implement an intelligent searchFor shops with a big product catalog you should use a better search engine than built in Magento search. For this we recommend to use „solr“ or „elasticsearch“. Just because this is a far too complex thematic, we will write a separate article about shop search in the next weeks. Take only high quality product imagesThe product image is the most important point on product and listing pages. The product images are the first points visitors will notice, when they are browsing your store. Products with good images will have a better conversion rate than products without images or with images in less quality. – Try to design a nice photo background ( If you sale a toaster you should put some bread, fresh tomatoes and eggs in the photo background ) A tasty photo has always a higher emotional response! – Try to keep natural, it´s the user which decides if a product will become a hype! 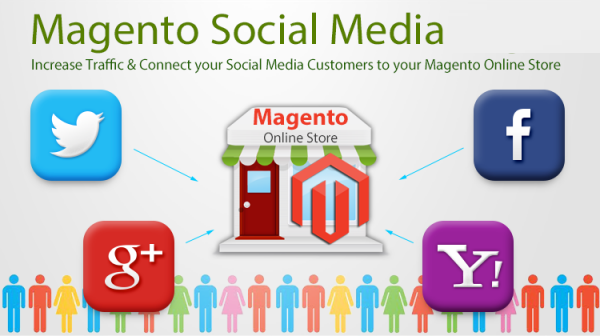 – Magento offers a short description. Often customers are in hurry, this will be the first case, where a product get customers interest. Additionally, you should pay attention to create an individual summary of the full description. Product Videos for top selling productsOften an image can´t transport the feeling of a product like a video. A video doesn´t need to cost the world, you can try to create it by using your smart phone. More important is, that you stay natural! No Surprise on product pageOften visitors leave a shop, because information is not shown correctly or is missing. – Show the count of product stock! Enable “Out Of Stock”-NotificationIn best do not show products, which are out of stock. 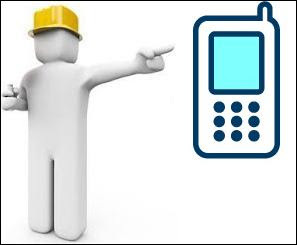 – Additional information about your products, company like FAQs can help to reduce a break in check out. Persistent shopping shopping cartCustomers often add products to shopping cart, but they do the checkout some days later. Here your cookie lifetime should be high enough, that the shopping shopping cart is still full, if the customer returns after some days. Make sure, that the user doesn´t need to enter same information twice in checkout processA visitor doesn´t like to spend much time for the check out. If the same information must be filled out twice, the user gets nerved and often they stop their purchase. Preserve information on a validation errorNobody likes to enter all information again, when a needed field was not filled. For this you can find very good examples at companies like amazon, or apple shop. In this case we wouldn´t recommend to try to create a complete new way of checkout process. Do not create an unasked customer account! Often these errors are displayed at the top of the page, where the customer do not see the information. It´s better to mark the error field. We all know, that most customers do not use save passwords, but your shop is not the customers mail account! Try to make it as easy as possible. Make sure, that the primary buttons do not confuse the user. Here you should place the button on the right or left corner, same color at the bottom of the frame. If you have a standard payment, or default shipping, it should be pre-checked. Make it as easy as possible for your customer to get to checkout. If a customer likes to buy more products, he will „continue shopping“ after he has added a product to shopping cart. Never surprise the customer in checkout by extra costs! Write individual meta tags, in best you do this as you would create adwords commercials. The quality makes the difference. The time you spend for these details will help you to get a huge improvement on your online business! Keep in mind, that these mails are the first contact to your customer. These mails help to reduce the load of work and the customer gets information about shipping or that an order was placed sucessfully! Also it helps to get a higher trust! Often mail do not arrive at the customer, because the customer´s mail provider marks your mails as spam. This can have different reasons, for example wrong sending method or just mistakes in mail formatting. To prevent this, you should setup a good mail provider for sending mails like Amazon „SES“ or „mail chimp“. Doing additional marketing should be done in other mails. If you put commercials in the order confirmation mail you only run the risk of confusion. This reduces questions from your customer. If you send a tracking number, they can follow online where and when the products will arrive. This pages are built by developers! However, often these smart guys have no idea how to communicate with customers and the messages feel a bit harsh. – maybe you like to share some facts? Displaying a phone number, a street address and the town should be a basic! Your customer is no computer. Often a short touch by phone helps to break the emotional barrier before the customer does the purchase. Alternative options could be a live chat, email or fax. Take care about the test results, redo tests after you have done changes! Don´t let your customers wait! 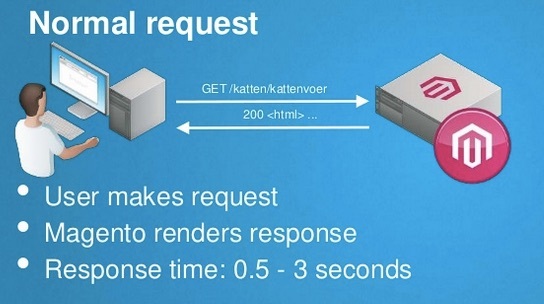 Every millisecond on page load time counts. High performance is not just good for getting a better SEO, it´s for getting a much better conversion rate. Every page should be fast as possible. CSSTry to clean up your css, often there is a bunch of unneeded lines and rules. Use a CDN for your static contentA CDN ( content deliver network ) helps to reduce the load on your server. Also the visitor gets the static content from CDN, which is the nearest to him. We can highly recommend to take amazon´s CDN! 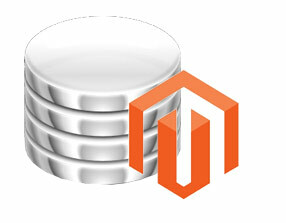 We have developed a nice tool for amazon´s CDN and Magento. 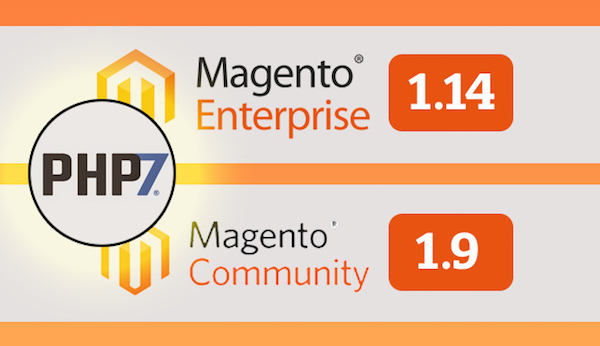 Try to use as less as possible third party extensions for your front endIt is not the biggest secret, that more than 98% of all third party extensions for Magento are not well developed. 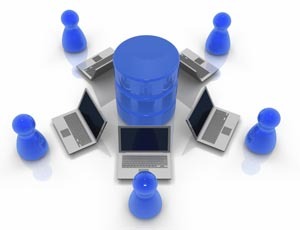 Often they generate a performance bottleneck, which will slow down the best servers. 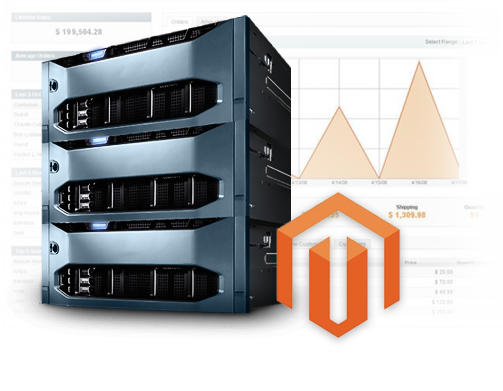 Take a server which can handle your Magento shopIt will stay a dream to take a shared hosting server for a Magento shop and getting a good performance. A good solution will not cost a lot, it must be done only once right. If you have no well done server configuration it costs you new customers every day and this is expensive! Performance bottlenecks by not well developed shop codeHigh performance can only reached if every detail is well configured. 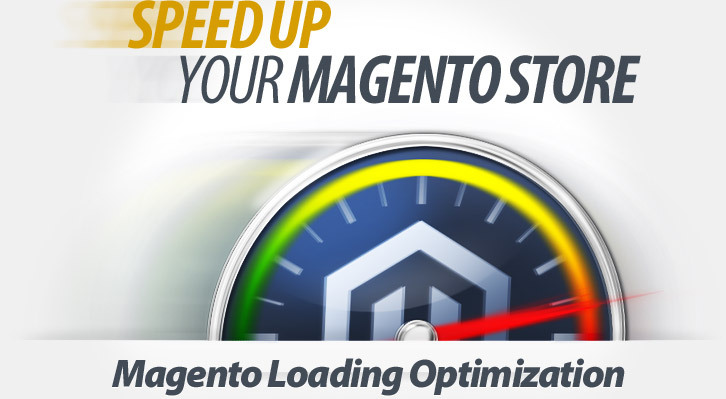 Usage of a full page cacheTo reduce the load of the server and to speed up your Magento shop you can install a caching system like our full page cache.